Michael Jaeger is a partner in the Seattle office of Lewis Brisbois and a member of the Insurance Law and Transportation Practices. 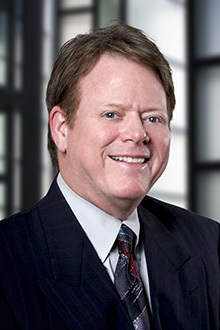 His practice focuses on a broad spectrum of litigation, including matters related to insurance defense, premises liability, trucking and transportation law, Federal and State workers' compensation, maritime, product liability, asbestos litigation, toxic tort litigation, construction defect, public work litigation, property damage and construction personal injury defense. Michael is licensed to practice in the state and federal courts of Washington. He has tried numerous cases on behalf of defendants, primarily concerning personal injury claims. Plaintiff claimed personal injuries as a result of a motor vehicle accident with a tractor-trailer. Liability was admitted. Defendant’s medical expert diagnosed a cervical, thoracic, and lumbar sprain and strain. Plaintiff asked the jury for $65,000. Four-day jury trial resulted in a defense verdict. Plaintiff truck driver sued the manufacturer of the trailer in federal court alleging a defective trailer caused him to roll his tractor trailer. Plaintiff claimed $4.3 million in damages. Pursued successful summary judgment on causation and prevailed upon appeal to the U.S. Court of Appeals, Ninth Circuit. Plaintiff claimed permanent injuries, including a closed head injury, a shoulder injury requiring surgery, and bilateral knee injuries requiring future knee-replacement surgeries, as a result of head-on collision with a tractor-trailer. Liability was admitted and plaintiff claimed damages in excess of $1.8 million. Two-week jury trial resulted in award for plaintiff in the amount of $595,000 ($55,000 less than defendant’s pretrial offer). Defense verdict after a four-day jury trail regarding a motor vehicle accident where plaintiff claimed neck and back injuries, and defendant had admitted liability. Four-day jury trial resulted in award of only $16,000 for two plaintiffs involved in pedestrian/motor vehicle accident. Plaintiffs claimed various injuries, including permanent knee injuries, neck, back and hip injuries. Liability was admitted and plaintiffs asserted damages in excess of $160,000. Four-day jury trial resulted in award for plaintiff of only $5,000 against defendant after motor vehicle accident plaintiff claimed caused chronic lower back injury and lost wages. Liability was admitted and plaintiff claimed damages in excess of $70,000. Four-day jury trial resulted in award for plaintiff of only $8,628 against defendant driver in case where defendant’s liability was determined on summary judgment. Plaintiff claimed chronic neck and back injuries and lost profits, seeking damages in excess of $200,000. Three-day jury trial resulted in award for plaintiff of only $4,500 in automobile accident case where the defendant had admitted liability, the plaintiff claimed significant property damage and permanent lower back injuries from herniated and bulging disks (verified by MRI) and sought $300,000 in damages. Two-day jury trial resulted in award for plaintiff of only $9,000 from motor vehicle versus pedestrian accident. Liability was conceded and plaintiff sustained multiple fractures and lower back injuries and claimed damages approaching six figures.